May Miller (January 26, 1899 – February 8, 1995) first came to prominence as an award-winning playwright during the Harlem Renaissance. 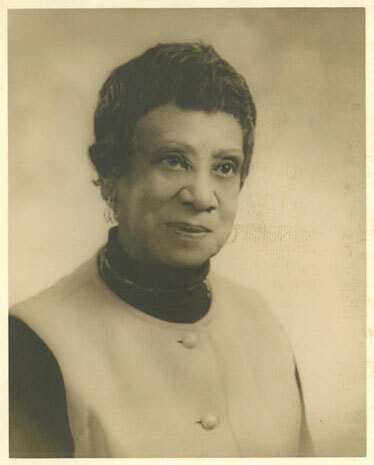 A high school teacher, Miller was active in the famous literary salon of Georgia Douglas Johnson, and later held salons in her own hom, using Johnson’s as a model. Miller helped establish the DC Commission on the Arts and Humanities, serving as Chair of the Literature Panel for the Commission’s first three years. From her retirement from teaching in 1943 until her death in 1995, Miller dedicated herself to writing poetry, publishing nine books of poems, including Dust of Uncertain Journey (1975), Halfway to the Sun (1981), and her Collected Poems (1989).